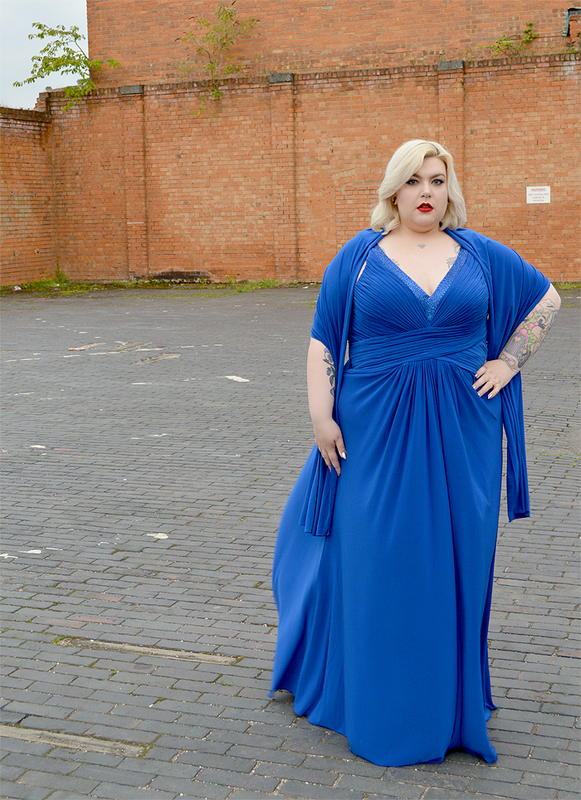 Viviana by Dynasty - Plus Size Formal Wear for When a Girl Needs to Get Fancy! - Sugar, Darling? 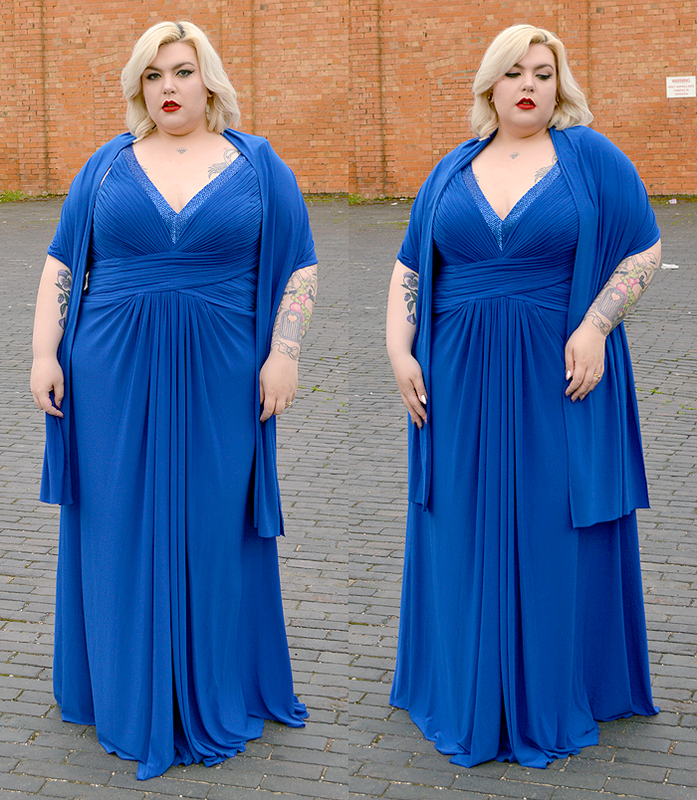 Viviana by Dynasty - Plus Size Formal Wear for When a Girl Needs to Get Fancy! Black tie, the words that strike fear into the hearts of many. It's not all that often that I get the chance to dress this formally but I sure love it when I do, or at least I do now that I have some beautiful gowns in my wardrobe. 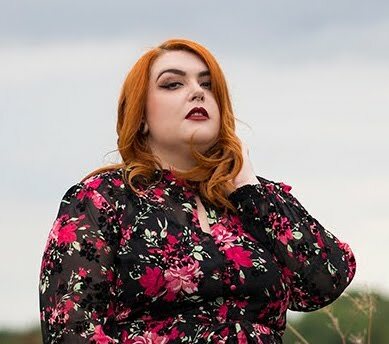 One such dress is this beautiful Ayla Evening Dress (£295.00* currently only in red online) which is from Viviana, the plus size collection by Dynasty London. If you're on the hunt for a stunningly beautiful gown then Dynasty is definitely one of the first places you should check out, their designs are so elegant and they have a fantastic range of different styles in the Viviana range. I was most impressed by the range of colours you can choose from - whether you want pastel, bold colours, classic blacks or lovely prints you'll be just fine and if you're not a gown girl then they also sell some very pretty tops and jackets. 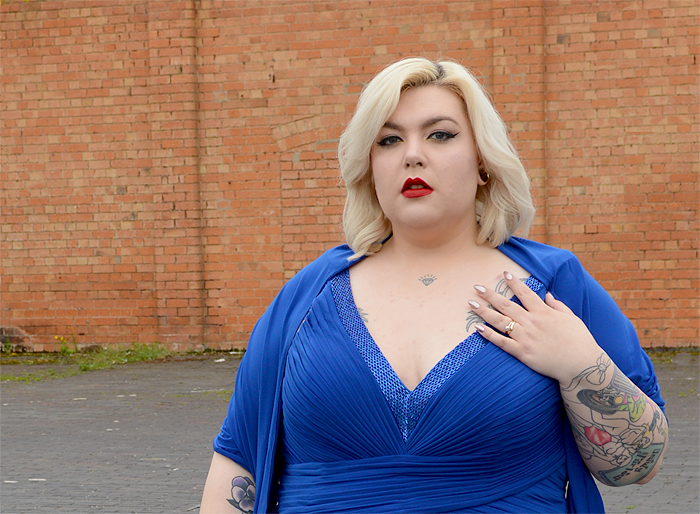 I just adore the royal blue of the Ayla dress, it's so rich and striking and quite unusual in pieces this formal so you can stand out from the crowd while still looking graceful and the subtle sparkle of the beading adds a little opulence which never goes amiss. The cut of this style is very flattering, emphasising your chest with the daring low cut and beading while the cross over ruching nips in your waist and the generous draping elongates your body and makes the fabric flow gracefully with every step you take. The matching scarf is a lovely touch too to keep the chill off when the sun has disappeared. I think the sizing of the Viviana pieces is quite generous, I could easily have sized down in this style which would have made the waist a little more fitted so I'd recommend checking the measurements properly and possible trying the size below if like me you like to define your shape.